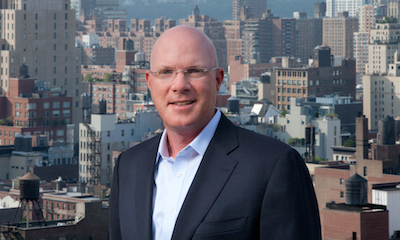 As you may have seen in our recent press release, we're proud to announce that John Mandyck will join Urban Green Council as Chief Executive Officer on September 5, 2018. In addition to his 25 years at United Technologies Corporation, most recently as Chief Sustainability Officer, John began his career at the Greater Syracuse Chamber of Commerce; he later served as the founding chair of the Corporate Advisory Board for the World Green Building Council and the former chair of the Board of Directors at Urban Green. His experience provides both a unique global perspective on urban sustainability and an intimate knowledge of Urban Green Council's vision. Executive Director Russell Unger will be staying with Urban Green, becoming Chief Strategy Officer when John joins in September. Read Russell's recent letter to learn more about his changing role. Join Urban Green’s Emerging Professionals and ENYA members for a summer Happy Hour! Meet young professionals in the sustainability field. 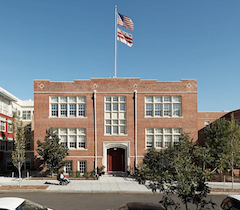 Our recently launched online course, House of Lebanon, shares the story of a historic school campus in Washington, D.C. that was developed into affordable, sustainable housing for seniors. The case study explores the challenges associated with restoring and retrofitting historic structures, including navigating Historic Preservation requirements while meeting the needs of the community and prioritizing sustainability. Join us on July 19 for Direct from the Manufacturer, the next event in our It's Electrifying series, which explores the role that electrifying building systems will play in meeting 80x50. 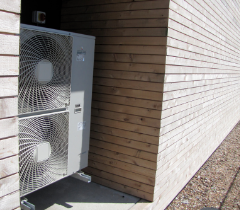 We'll discuss electrified heating systems with some of the most influential manufacturers in the heat pump industry. As outlined in OneNYC, building owners can protect their assets from extreme weather hazards by investing in cost-effective solutions for reducing risk. This short training, presented by Mayor’s Office of Recovery and Resiliency and Enterprise Community Partners, Inc., will help multifamily building owners better understand and prepare for climate risks.